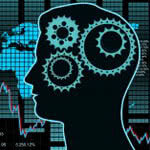 Big data is a big buzzword–and for a good reason. We’ve already created 2.5 quintillion bytes of data – 90% in the last two years. 72 hours of video are uploaded to YouTube every minute. 160 million emails are sent every 60 seconds and 58 million tweets are sent each day. Of course, most small businesses don’t need to understand and manage these boggling amounts of data. But small businesses do need to effectively find, measure and take action on the data that is important for running their businesses. In other words, the “big” in Big Data is relative. If you’re having problems finding the data you need, when you need it, you have a big data problem! Lack of vision into what’s going on in the business can lead to missed opportunities and the inability to spot problems. 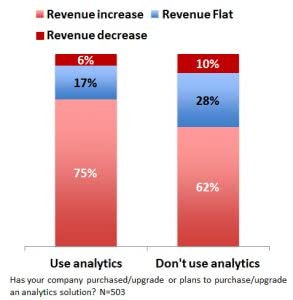 In the 2012 SMB Routes to Market Study, the SMB Group found small business use of analytics is low, but early adopters gain big advantages. Key benefits cited in the study were better answers to critical business questions, deeper understanding of customers and market trends, and the ability to identify and capitalize on opportunities while avoiding risk, just to name a few. What information do you need to understand and measure? Where is the data and how much do you need to analyze? Who needs to use the data? In addition to understanding what needs to be measured, small businesses should assess capabilities required to make data actionable for users. For example, do you require a solution with an easy to use interface or customized reporting? Starting with a focus on making data actionable will help ensure you maximize effectiveness once the solution is in place. There’s a chance your current solutions already include some form of analytics. Look into how well these tools support your needs, and integrate new analytics solutions to add more horsepower. For example, the Trends tool included with Intuit’s QuickBooks Online product displays average sales growth, cash flow, income and expenses of small businesses within a specific industry or location to allow small business owners to compare themselves to similar businesses and make informed decisions. Trends figures are compiled from anonymized data submitted by 1.3 million QuickBooks users. Once you identify your analytics needs and any gaps in coverage, you can determine if you can implement a do-it-yourself analytics program or whether you need external resources to get the reporting you need. Learn more about affordable data analytics software by downloading our free Top 10 Business Intelligence Software comparison report, or browse top BI platforms and other Big Data solutions on our business intelligence software resource center page.